Instead of turning up the heaters, why not look into winter design trends that will create warmth through the cooler seasons. Here are a few easy, and budget-friendly, ways you can create the perfectly cosy winter home. Layering textures and fabrics in your living room and bedrooms will help to trap in the heat to provide that extra bit of warmth. You can do this by using throws, cushions and anything with a more bulky fabric. Heavy curtains will have this same effect on the space, as well as chunky knit or wool blankets. 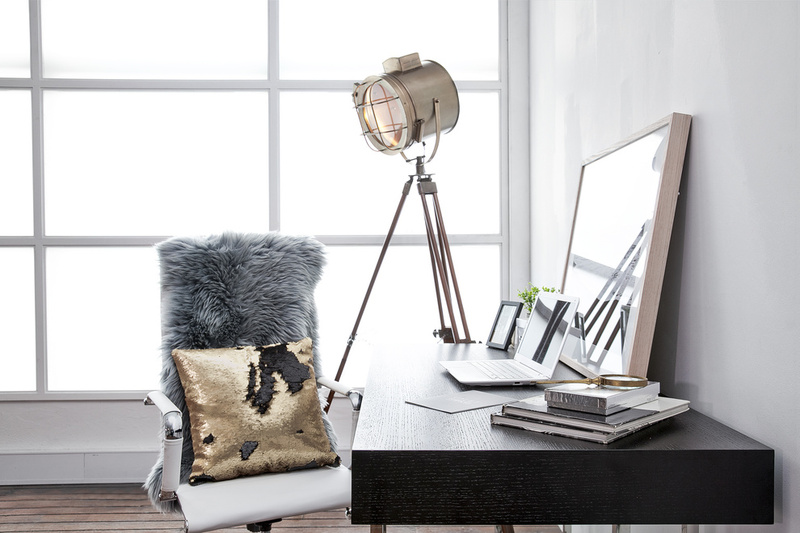 Faux fur is another option which you can find in a variety of homeware shops. By layering these fabrics on your sofa, you will create a warm and welcoming cocoon. Grasscloth wallpaper is a beautiful, timeless look that can warm up an interior theme and even though it’s classic, it is very much on trend at the moment. This will add depth and that winter warmth you are seeking. Lighting in winter is key and can really impact the feeling of a space. 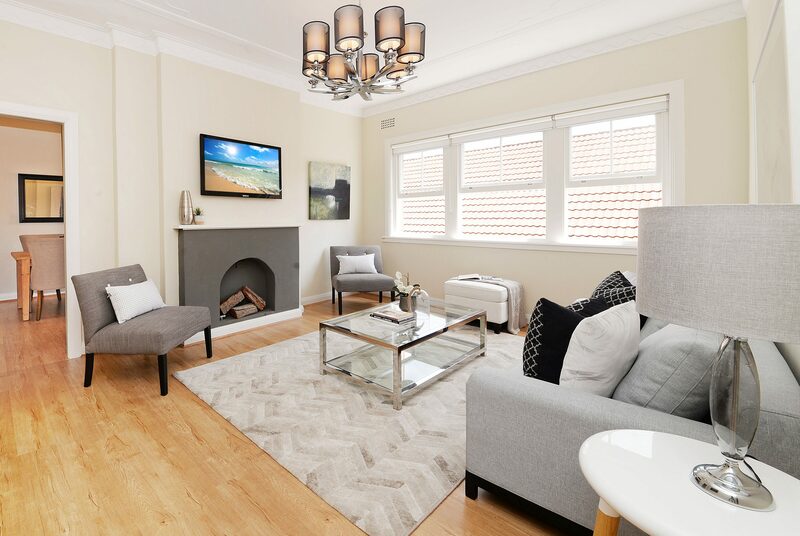 Soft lighting helps to brighten the home and create an inviting feel when natural light is lacking. Floor and table lamps are perfect for your living room and bedroom spaces. Consider swapping out your existing ceiling light if it’s an oyster light or drum shade to a glass pendant that really projects and emits light without diffusing it. Another way we love to brighten up a space in winter is to add candles. The soft lighting creates a relaxed and romantic feel and is a great way to keep you from wanting to put every light on in the house. One of our favourite things to do is to take a tray and put about 10 candles on it. This creates the light that is lacking as well as becomes a centrepiece for a room. The mood it creates is perfect for a cosy night on the couch. Another upside to candles are the fragrance they let off and are great for covering up that damp smell from your home being closed up during bad weather. Mirrors are a really great decor item in winter. Large-scale mirrors will always impact the light levels due to the reflection. The key with these is to go fairly large and try to match the scale of the furniture piece below it. A long, verticle freestanding mirror will make any hallway or entry feel much larger. If you can have the mirror reflect a pretty outlook such as a tree or sea view, it will bring the outdoors in which will bring in a bit of a summer-like feel to winter. Adding some lux-inspired, deeper coloured tones to your decor is a great trick to bring in warmth. Try to inject rich tones like rust, orange and mustard which work brilliantly for winter. 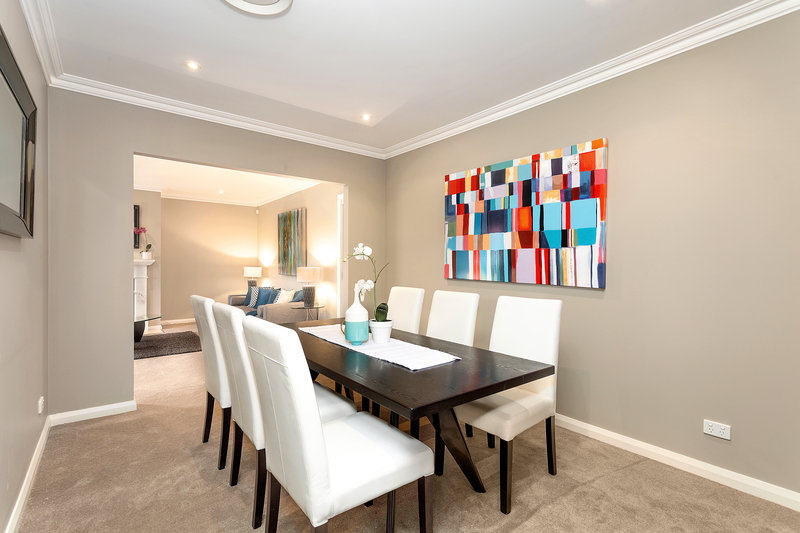 If you’ve always wanted to paint a feature wall, winter is the perfect time to do it. The depth of colour will help to make your home feel more dramatic and intimate, and the hard work is sure to warm you up quickly. If a permanent feature wall is a bit too daring for you, introduce colour through accessories, table runners, bright art or even recover those summer cushions to add to your winter theme. Having a visually rich environment will enhance all the senses. Metallic pops like gold and copper will also add a hint of drama and give the space a feeling of richness. Add this through candles, accessories or small occasional furniture like side tables.